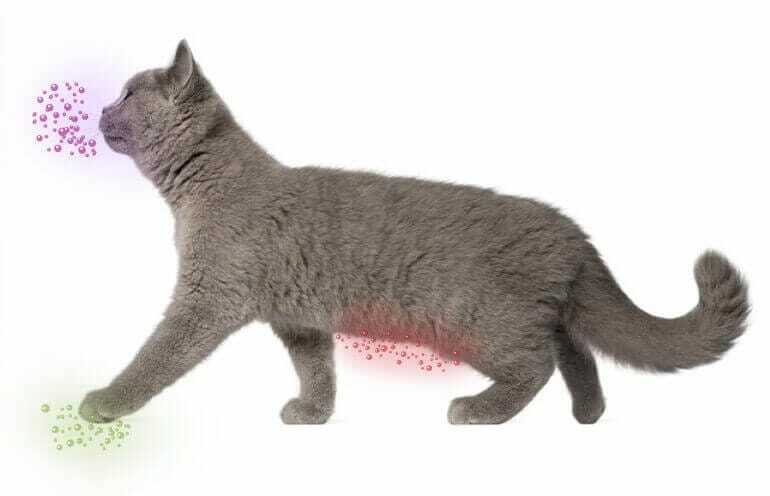 An excellent solution to comfort cats at home and help avoid signs such as spraying, scratching or hiding. Helps cats live together in harmony and avoid signs of conflict like fighting, chasing and blocking. 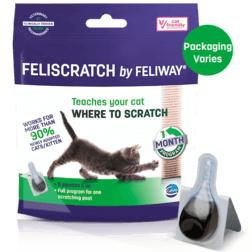 Helps redirect scratching to your desired location like a scratching post. Helps make travel and visits to the vet less stressful, and helps prevent signs like scratching and spraying. Ever wondered how your cat feels in our modern life? You will be surprised! Ever wonder how your cat feels in our modern life? You will be surprised! 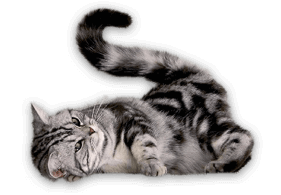 Cats communicate through natural messages released in the air: “happy messages”. 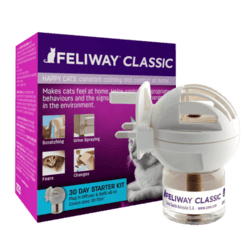 Using feline natural reassuring messages, FELIWAY helps your cat happily adjust to pace of modern life, ensures full happiness and avoids signs like urine spraying, scratching, fighting or hiding.